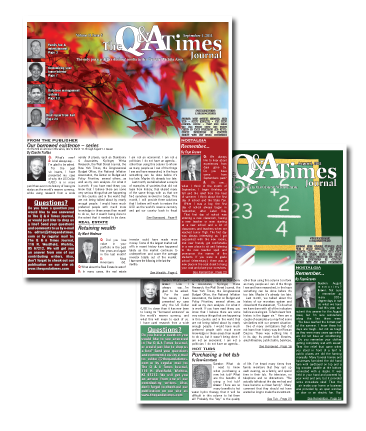 We publish The Q & A Times monthly. Our subscription price for 12 monthly issues is only $12. Complete and submit the information below. Your first issue of your subscription will arrive on or about the first of the following month of the month in which we receive your information. Thank you!